The Ordinary Life of an Extraordinary Girl: Why college? A huge thanks to the hundreds of people who read my post about Alex going to college and the many who also liked our facebook page. If you have not liked our page, it is a good way to stay on top of the ups and downs of college for a person with a development/intellectual disability. I have no idea what is going to happen....but I will share the good and the bad. Please click on "The Ordinary Life of an Extraordinary Girl" now! As far as an update - Alex has arrived at school and from all accounts settled in. She has already suggested I get a life and not bug her. Promises, promises. A few comments appeared related to the recent college post suggesting Alex was really not going to "college" because she only had to have a third grade level to get into her program. This suggestions was that she was in a "supported program" not college. 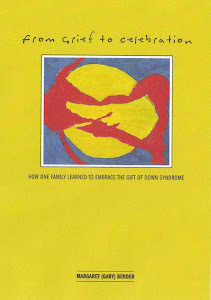 One person even suggested I was letting down the entire down syndrome community by misrepresenting my daughter's abilities and that she really was not capable of going to college. I feel like I must have hit the big leagues to get comments like these!!! Suddenly (and I have been blogging for four years) people are criticizing me for spending money so my daughter who just happens to have down syndrome can realize her dream for her future....not my dream and certainly not the one imposed by our systems on our young adults with developmental disabilities . ..her dream. The fact that she can get a great education and focus on learning the skills needed to have a career does not seem to be pertinent The idea that a person with down syndrome can actually focus on a field where she is passionate and be able to succeed seems to be beyond the grasp of some people. Seriously, this does not bother me at all....but I wanted to address this is case there are others with similar questions. In two days I am getting my youngest off to college, he does not have a developmental disability - but like all kids he has his strengths and weaknesses. He is going to college in state but the tuition is still close to $30,000. His education will be funded by loans - some his and some ours. How to ask for help when he needs it - and to make life-long friends. This is what I learned in college and after a very successful banking career I currently work four jobs to make ends meet. Does this mean Tom should suffer? Absolutely not....education is the single most important thing I can give my children and I will sacrifice to make that happen. And if he learns how to play foos ball or drink beer - well so did I when I went to college. My oldest is a senior at an Ivy League college. How is that funded? Grants and financial aid. Luckily she has chosen a field where there are ample employment opportunities for her - and she will be able to pay off her loans - and I will help her. So what is different between Alex's education and that of her siblings and peers?...not much. Her education is funded through a private loan (next year she will be eligible to apply for financial aid) Her dreams to attend college are just as important as her siblings. She will learn to live independently, to study and to discover her chosen field. 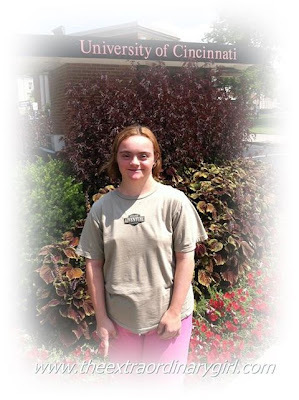 She will graduate with a certificate (I expect in the future young adults with developmental disabilities will be getting degrees) in that field and she will find a job she loves. Just as I do with my other kids I will sacrifice to make sure her life is the one she wants and is not defined by her reading level or disability but by her passion. And maybe she will struggle – but it will be her struggle and if she asks for help she will get it. Maybe she will not like college and maybe it is the wrong choice for her – but it was her choice not one artificially imposed by our current systems. It is her life, not mine and not one predetermined by others expectations of what people with down syndrome can or can not accomplish. I really appreciate these comments – because believe me I have thought through all of this for the last three years – when Alex first shared she wanted to go away to college like her siblings and like her peers. To me the bottom line was very simple. Alex is no less a human being than her peers and we must all respect that. I will never ever look at her through the lens of down syndrome, rather with open eyes and a heart full of belief. Thanks so much for being there a few years before us :-) What a surprise, you are supporting your kids interests... Wonderful! You are so welcome...older parents helped us - hope we can help you! Geography was very important to us and I have a sister who lives 1 1/2 away. 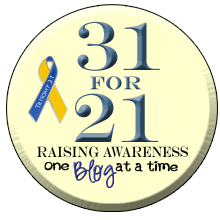 AS to the start of this blog - Sigh and shaking my head. Ugh. As to the second part, so...doing your best to help your children live the life they imagine is the same for all your kids? Humph. Who knew? Keep it up Mom. Your hard work will pay off, I'm sure of it. Thanks! It really amuses me that some folks are so stuck in their own expectations - oh well, their problem not mine! What an inspiration! My daughter Caitlin and I have had the pleasure of volunteering at Windwalkers and meeting Alex! She is a wonderful and fun young lady and we look forward to hearing about her adventures in college! Hi - that is so cool! Thanks for following us! What an inspiration! My daughter and I had the pleasure of volunteering at Windwalkers and meeting Alex! What a wonderful and fun young lady! We wish her all the best at college and look forward to following her adventure through your Facebook page! Thanks - it is quite amazing isn't it?